On kitchen cabinets, especially those close to the cooker, a greasy layer is formed, hard to remove when you want to clean them. 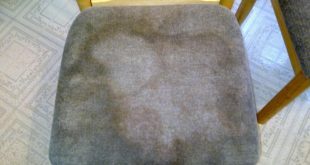 It is obvious that this layer can’t be removed only with water, and often chemicals can affect the furniture, especially if it is made of natural wood. 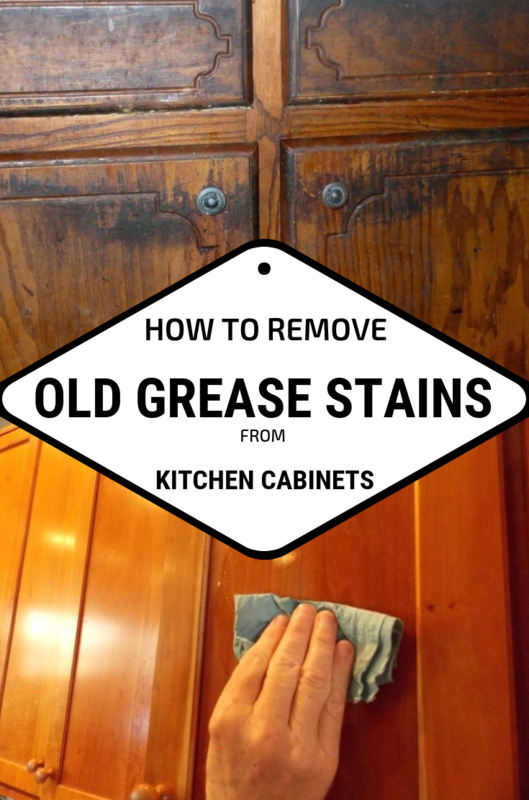 Here are some tips that will help you keep the color of your kitchen cabinets and eliminate grease from them. This is an excellent grease cleaner, especially for those old and dried stains. 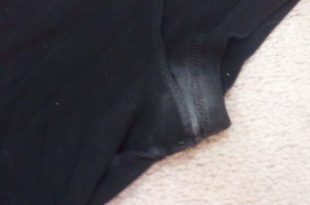 Put on a dry cloth vinegar and wipe the closets. 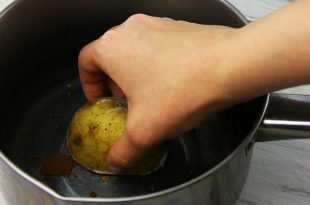 Then rinse the cloth with warm water, squeeze it well and wipe the cabinets again until you remove the vinegar. 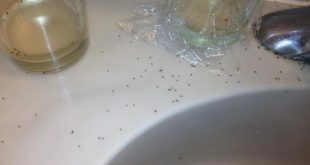 Then wipe them with paper towels and look if there are grease stains or not. 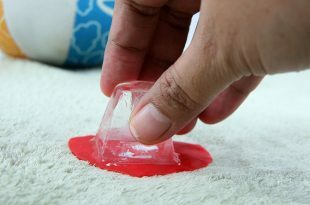 If some stubborn stains are still there, repeat this procedure. Don’t be surprised by this method. 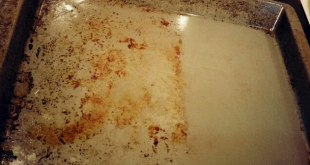 Mineral or vegetable oil can successfully remove the grease stains on the kitchen cabinets. Mix 1 part of oil with 2 parts of baking soda until a paste is formed, if necessary, you can add more baking soda. 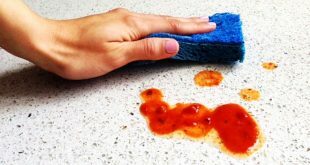 Use a cloth or a sponge, dip it into this paste, and then start to rub the grease off the kitchen cabinets. The same paste can be used for cabinet handles. 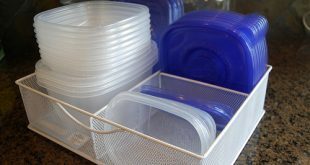 Then clean the cabinet surface with warm water mixed with a little dish detergent. 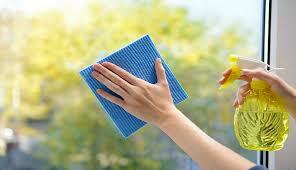 Or you can just use plain oil, applied on a paper towel. 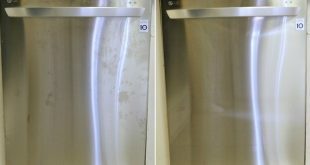 If the cabinets seem to be oily, then you can only make a paste of baking soda and water and apply it to the cabinets. Remove the paste with a damp cloth, and then wipe the cabinets with paper towels.